Fiction. Jewish Studies. 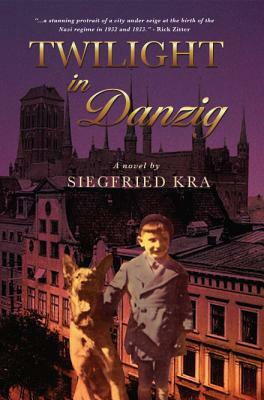 Based on Siegfried Kra's own childhood, TWILIGHT IN DANZIG is an important addition to pre-Holocaust literature and a unique chronicle of European Jewish culture that reads like a thriller. Young Jonas Kruger's parents are scions of Danzig society, his father a coal merchant, his mother a lovely socialite. But the rise of Hitler in 1933 forces them to examine their identity and make difficult moral choices: Jonas' governess secretly enrolls him in the Nazi Youth; Mr. Kruger buys open tickets on the Queen Mary, but keeps his family in Danzig, hoping the madness will blow over. But soon the anti-Jewish laws will reach Danzig, and the Krugers will face the most difficult decision of their lives: whether to try to reform and resist from within, or to flee penniless to a country that doesn't want them, leaving their larger family to an unspeakable fate.